A Harvard University research study, Navigating SEL from the Inside Out: Looking Inside & Across 25 Leading SEL Programs, found The Mutt-i-grees Curriculum to be one of the most impactful programs teaching social and emotional skills. 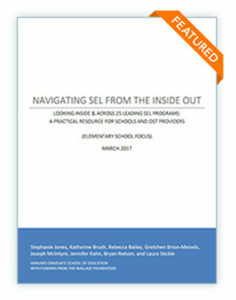 The report is designed to help schools and out-of-school-time programs better understand the content of SEL approaches within and across a wide variety of programs that can be used with elementary school-aged children. Read the full article on the Wallace Foundation website.